Anyway, more details are unfolding concerning the Female Corper who died after been shot by a Police officer just a day to her POP. Now there seems to be a new twist concerning the report that she was denied urgent medical treatment after been rushed to the hospital. It has been revealed that she wasn't denied treatment. 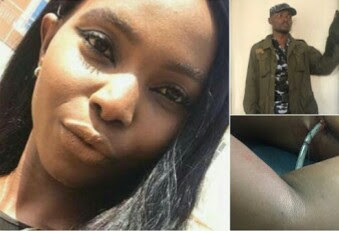 Segalink the Legal Practitioner who is taking up the case, has given update on the matter and according to him, the Hospital actually attended to Linda Nkechi immediately she was brought in, and there was no demand of Police reports because the police officers were also present at the hospital. And there was no delay in Treating her, but the problem was that she had already bled way too much, and had a low heart rate. When they saw that all they did was proving abortive, at about 3am a Consultant was called to resuscitate her, but it was too late, as her pulse wasn't responding anymore. Linda Nkechi a 23yr old passed on at about 4am in the morning in presence of her sister Chineye Igwetu, who later informed the rest of the family. RIP! There are lovely new products on Jumia that will give you, your home and kitchen a more enjoyable experience. They will deliver to you where you are.